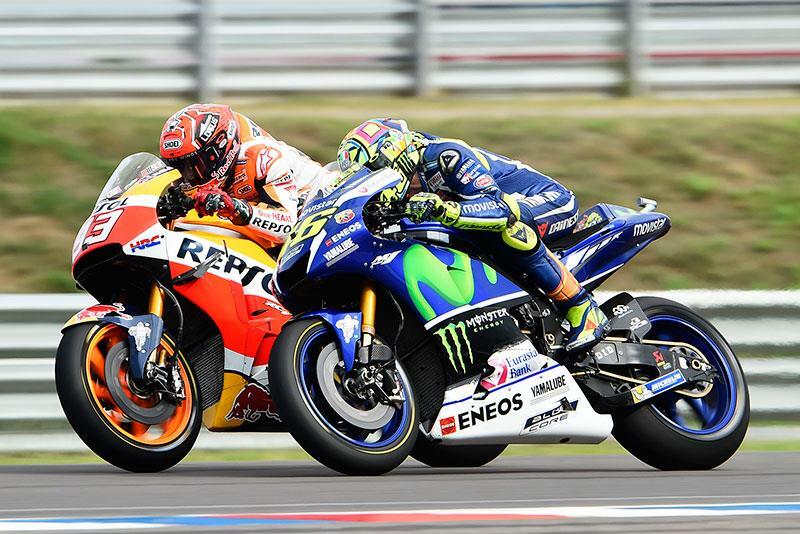 Age will be a key difference regardless of whom Rossi’s team-mate ends up being. Now set to retire from the sport aged 39, he’ll be the oldest rider of the modern age by a long shot. But, despite that, he says there was never any question of taking a one-year offer from Yamaha – partly because of MotoGP’s now-standard two-year deals and partly because he doesn’t want to walk away that soon! “Two years is long, especially at my age, but the way the world works now, Yamaha have to make a contract for two years – because everyone else does too. And yet while others like Casey Stoner and Colin Edwards have successfully transitioned a career in MotoGP into a role testing for a manufacturer or a tyre company, Rossi conceded that the final round of the 2018 championship may well be the last time we ever see him on a MotoGP bike in anger. So if testing is out for Rossi post-retirement, what will the future eventually hold for him? “I think the Academy will be my future more than the testing. I enjoy it so much – the young riders keep me young! We spend a lot of time together, and I like that they’re like my close friends now. It’s nice to be able to help them, and it’s nice to be in front of a TV on a Sunday shouting and screaming like mad! He’s off to a good start there too, with the Team Sky VR46 squad already taking the Moto3 Junior World Championship last year with Nicolo Bulega, and with his new team-mate Romano Fenati already proving that they’re in Moto3 title contention for this season. “For me, now our project is to try and arrive in Moto2. We have our CEV junior team with one bike that won the title with Bulega - and the first project is to extend that team to two bikes. But while the squad is set to expand into Moto2 next year with Fenati, Rossi was also quick to dismiss rumours that he was interested in taking over the final grid spot available for MotoGP for 2017. 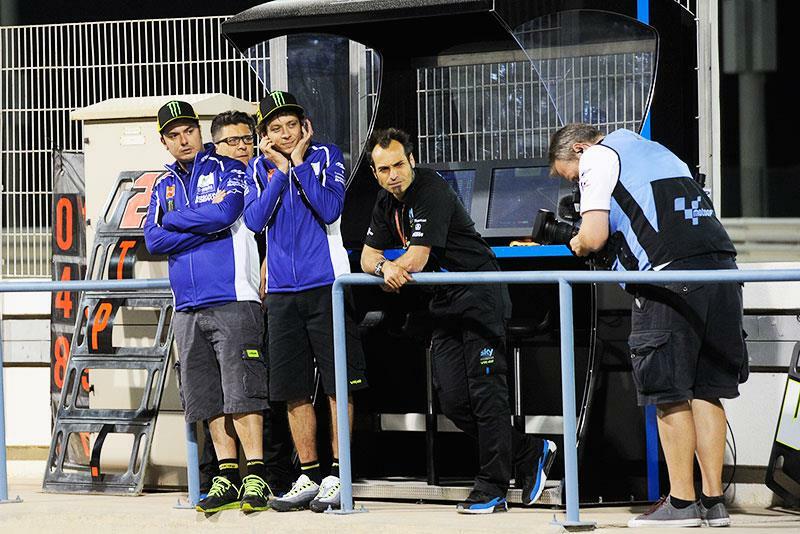 “MotoGP is more difficult. But also, I don’t care the same, because our project is to try with the younger riders and when they arrive in MotoGP it’s done! There will be more satisfaction seeing one of my Academy riders winning MotoGP than seeing my team winning it with a rider from elsewhere. 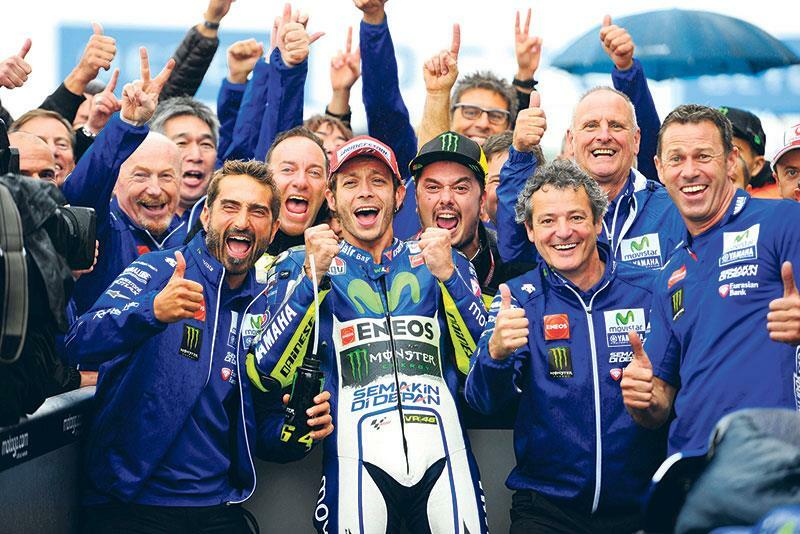 But all that lies in the future for Rossi – and for now he’s focused much more on one thing; winning. And while title success might be outside his reach as he goes up against Lorenzo, Marquez and maybe even Viñales for the next two years, there are still records to be broken. And while extending his Grand Prix-winning streak of 19 years and 12 days (from the 1996 Czech 125GP to Silverstone MotoGP last year) looks likely, there’s another that may become the Holy Grail for the next two-and-a-half years. Now only 9 wins behind Giacomo Agostini’s all-time record of 122, it may well be that will be the target to end his career on. With four wins in 2015 and one in the bag already for 2016, who’s going to bet against it?